This expanded cape cod is absolutely gorgeous. Kitchen and bathroom updates have been completed to make sure you do not have to lift a finger after moving into this gorgeous home. The floor plan even allows for easy one level living with a bedroom suite on the main level. The home has three bedrooms and three full baths, fully finished basement, and a great back yard for relaxing and entertaining. SchoolsClick map icons below to view information for schools near 710 Overlook Dr Alexandria, VA 22305. Home for sale at 710 Overlook Dr Alexandria, VA 22305. 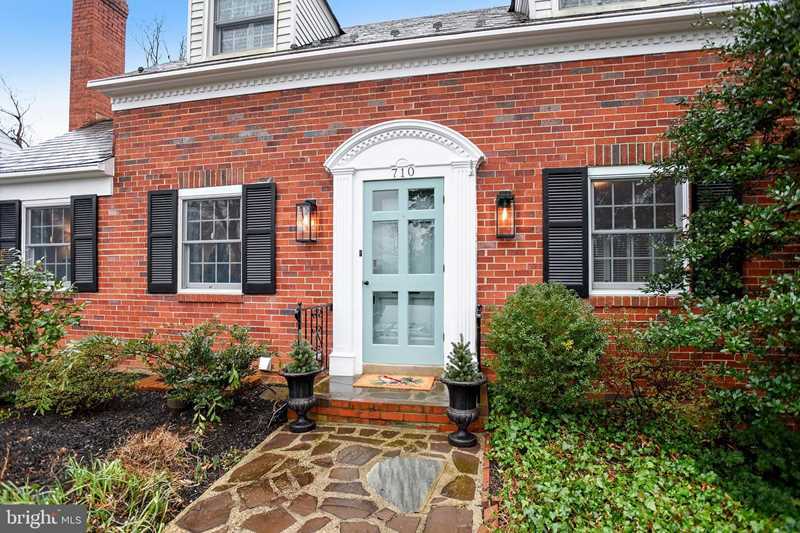 Description: The home at 710 Overlook Dr Alexandria, VA 22305 with the MLS Number VAAX226180 is currently listed at $908,000 and has been on the Alexandria market for 67 days. You are viewing the MLS property details of the home for sale at 710 Overlook Dr Alexandria, VA 22305, which is located in the None Available subdivision, includes 3 bedrooms and 3 bathrooms, and has approximately 2060 sq.ft. of living area.